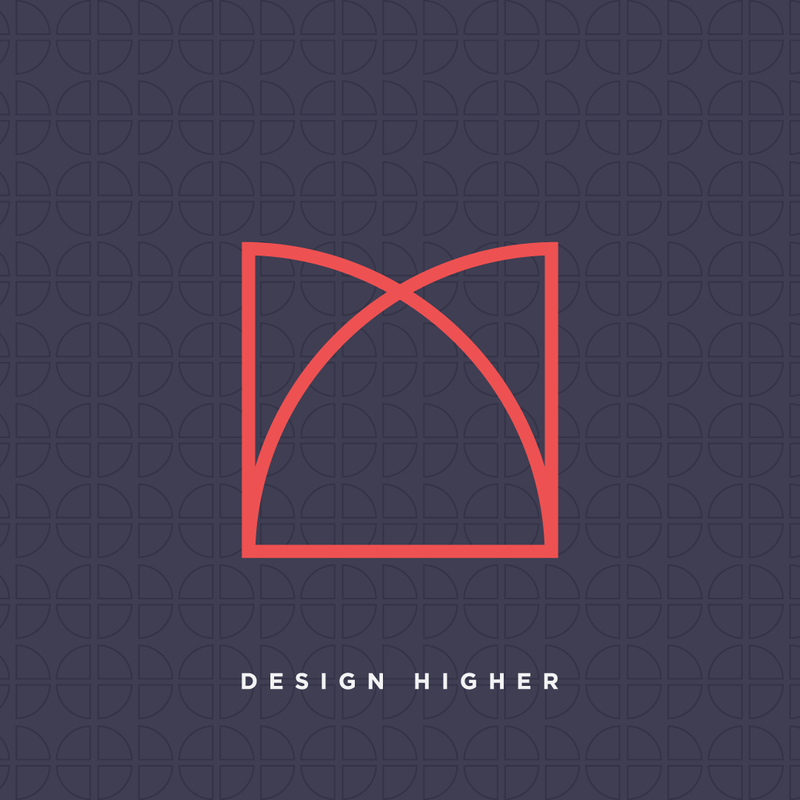 Is Mobile App design a part of your program’s design curriculum? According to many reports, the number of mobile users surpassed desktop users in 2014. In order for your design students to remain relevant in an ever-changing market, they need to understand how to design for the mobile platform. For design students, a portfolio of print work and websites won’t cut it; they need to demonstrate an understanding of how to design for mobile apps too. If you already teach Mobile App design in your courses, has the content remained current? Are you struggling to stay up-to-date and refresh your content? Make sure your students get mobile app design experience in your program! I can help because I’ve been in your shoes. 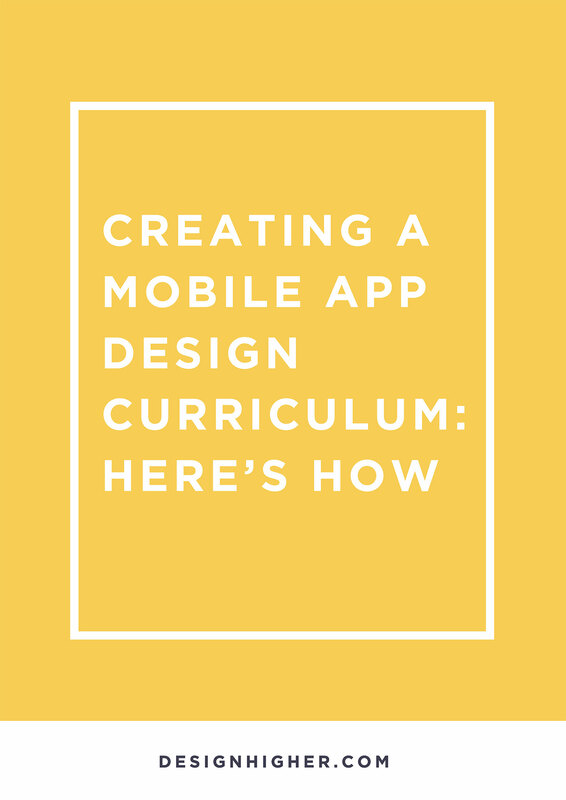 A Mobile App Design curriculum is critical to the success of your design program and your students. I propose a series of two courses: Introduction to Mobile App Design, and Intermediate Mobile App Design, to prepare students for careers in design. The two courses are described below. I’ve also created a downloadable document with the course outline for each of the two courses. I know you’ll find it helpful. You can download it right now. I propose a curriculum of two project-based mobile app design courses: introductory and intermediate. Prerequisite: Students with basic knowledge of graphic design applications (Photoshop and Illustrator) and beginning web design and user experience design is advised. Students will conceptualize, design, and implement low-fidelity design prototypes of apps for mobile devices. Projects will cover best practices for designing for mobile devices. I’ve divided the course into 16 modules but it can easily be an 8, 12, or 16-week course, or you can combine the modules to fit your course schedule. 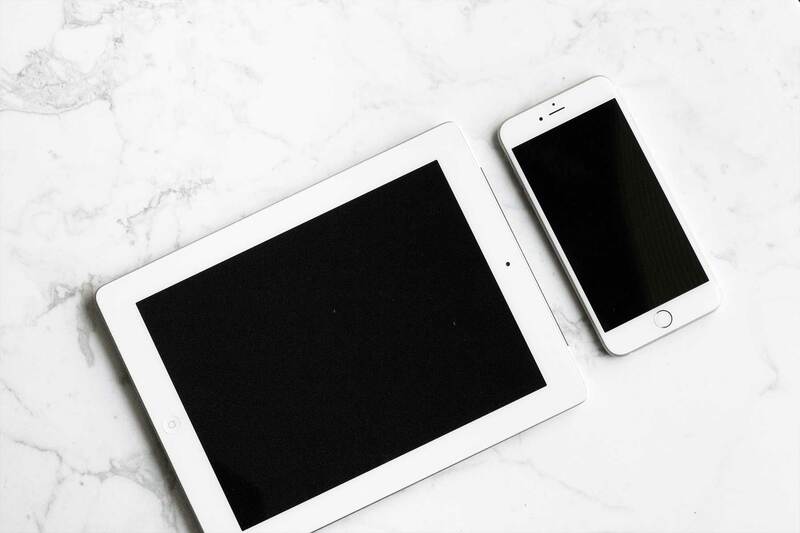 The philosophy of this course is to help design students understand the mobile as a platform (its differences from web), and to have the student begin developing an app concept. This course starts the student on sketching, prototyping, and user-testing for mobile apps. Builds on the design concepts and fundamentals covered in Introduction to Mobile App Design. 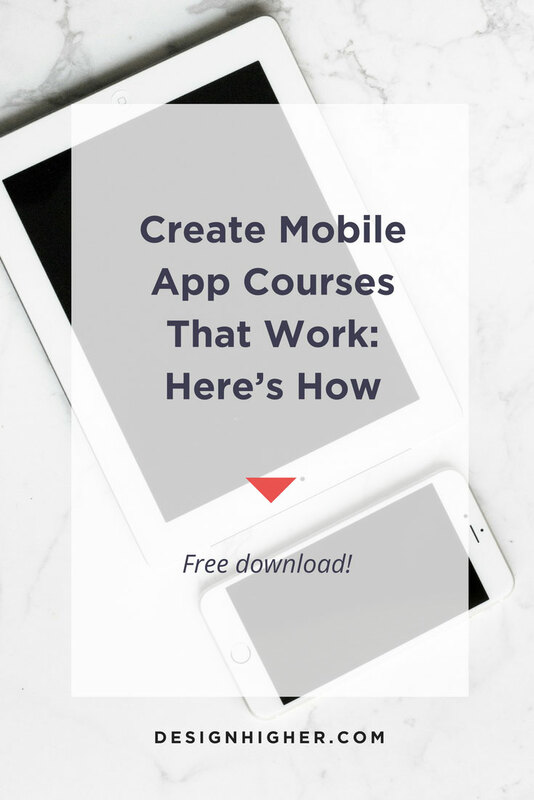 Utilizing the skills learned in this course, students will redesign and prototype a mobile app from start to finish. I’ve divided the course into 16 modules but it can easily be an 8, 12, or 16-week course, or you can combine the modules to fit your course schedule. The philosophy of this course is to help design students understand intermediate mobile design skills, and for the students to work on redesigning an existing mobile app. This intermediate course focuses on microinteractions and micro-moments. 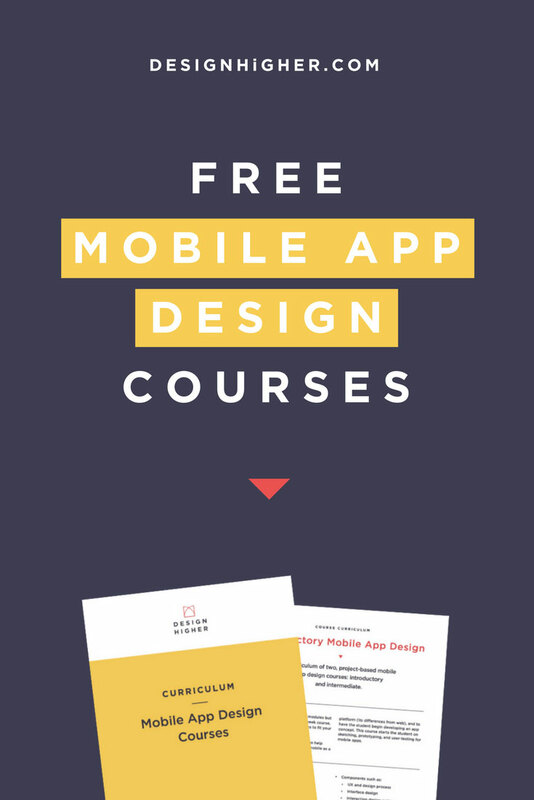 Before you go, be sure to grab the Mobile App Design course outlines. 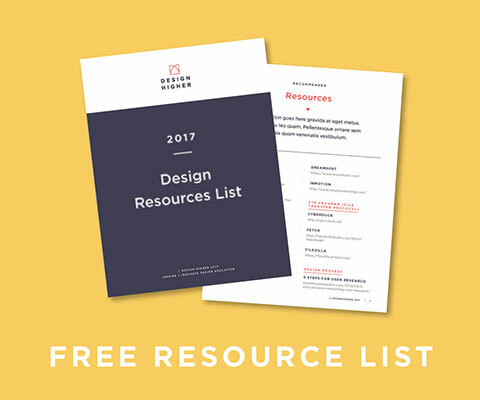 I’ve created a downloadable document with the course outline for each of the two courses. I think you’ll find it helpful. You can download it right now. What are your suggestions for a mobile app design curriculum?